With six books to his credit, Neil D’Silva is a known name in the Indian literary world. His stories have found universal appeal and acclaim in both the literary world as well as the world of visual media. He has been named as one of the Top 7 Indian horror writers to be read by UK’s DESIblitz magazine. 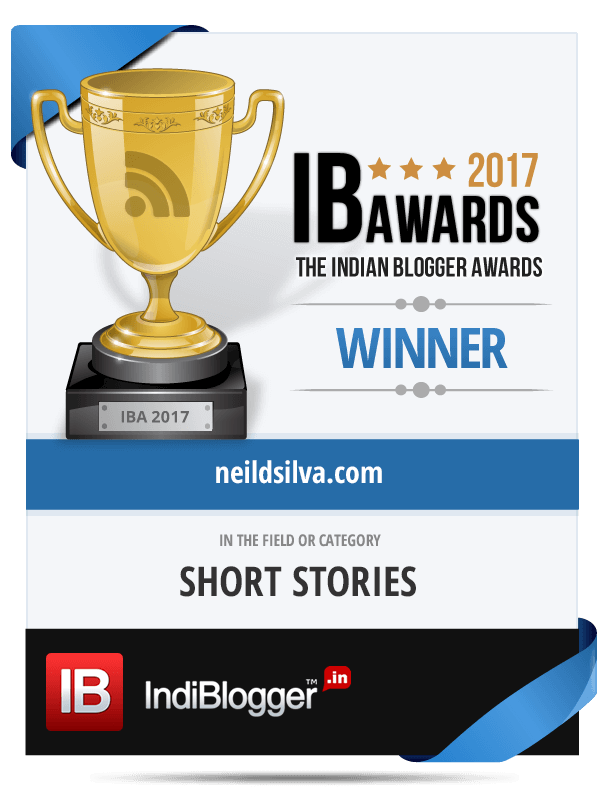 Neil D’Silva is a member of the international Horror Writers Association. He was a winner at the Delhi Literature Festival Short Story Competition of 2015, which was in association with Readomania. His book Maya’s New Husband also won the title of Entertainer of the Year at the Literary Awards 2015 that was co-hosted by Authors’ Ink Publications and Inside Stories. This site was also listed among the Top Author Websites of 2017 by The Writers Awards. Neil D’Silva was also invited to talk on the TED platform by TEDxTCET. He spoke on The Art of Writing a Bestseller to a packed auditorium. Thanks for the great comment for Echoed Footsteps. Glad you liked it. Will try to get others up now and then. Book bound in love very nicely written.loved all stories. Gonna get your novels and read them. I love your shares on FWBA. Read your website sometime ago but didn’t comment before. Your writing is amazing and inspiring. 🙂 Keep it up. All the best for your future adventures in writing. Thank you! That is why I write – to inspire. Glad to know I am doing my job right. Hi Neil, I have started reading your books one week back and already finished all of them.. I would like to know what all books you read as part of your research. And I would like to make a short film from one of your short stories..
Hello! Thanks for taking the time to read my books. I have been reading/watching a lot of Indian books/shows as part of my research. Most of my research though, is through documentaries and other videos on YouTube. For Maya’s New Husband, an old Indian show named Aghori was a big inspiration, and for the thematic elements of a woman stuck in a house, it was mostly Rosemary’s Baby by Stephen King. Also, thanks for the offer on filming my work. Maya’s New Husband is already being filmed; the script is ready. A team is also filming one story each from The Evil Eye and the Charm and Bound in Love. Which story would you be interested in filming? i have just completed your `bound in love’ & ‘Evil Eye…….’ & started “maya’s new husband’. i have no words to describe your high caliber of writing – truly deceptively simple. further being a Bengali & an ardent fan of sri styajit ray’s style of ghost stories telling, i am compelled to say after going through your style of story telling you are nothing but simply a reincarnation of sri styajit ray. i am not flattering you, but its simply coming out from the inner most core of my heart. Thank you for taking the time out to read my works, and more importantly to comment on them here. Really means a lot. And I have tears in my eyes as I write this… happy tears… because you have compared me with someone whose work is of such high caliber that it is sacrosanct. Dr. Satyajit Ray is a genius who can never be born again. If you saw even a tiny glimpse of him in my writing, I feel I have achieved it all. I will truly carry this compliment to the grave. So i get a chance to know more about this prolific writer, only after i visited his website.